Welcome to Pampered World Citizen, where our experience, expertise, and passion will help you plan your ultimate vacation. Pampered World Citizen offers you a handful of vacation properties for rent and sale all over the world. In addition, we offer professional travel assistant services through our network of contacts. 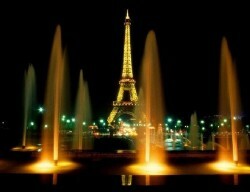 Let us help you plan the vacation of your dreams to Paris, London, New York City, and many other magical places.